Camus worked for Gallimard as a manuscript reader on 4000 francs a month. He lived at the Hotel Mercure, a short walk from his office, and thanks to his job and the royalties from his published books, was financially comfortable but not wealthy. His reputation as the author of The Stranger and The Myth of Sisyphus meant Camus was welcomed into the Parisian intellectual circle. He met his idol Malraux, mixed with Sartre and Simone de Beauvoir as well as people like Georges Bataille and Pablo Picasso. It was during a reading of a play written by Picasso that Camus first met the actress Maria Casares. She would become his mistress and one of the most important women in Camus’s life. 1943 to 1945 was the period of Camus’ genuine friendship with Sartre, after ’45 feelings between the two men had cooled considerably. Much has been made of their quarrel and falling out, its causes and repercussions. However, the friendship itself was relatively short-lived. Sartre had heard about Camus’s history in the theatre and asked him to direct and act in his play, No Exit. The plan came to nothing but the two men became friends of sorts. They had little in common and avoided conversations on philosophy or politics whenever possible. Sartre was drawn to the rough, working-class Camus. He liked Camus’s ease and success with women and admired his hard-drinking, quick-witted nature, ever-ready with a joke or a song. Sartre was a drinker and womanizer himself and Camus liked this in him however he never saw Sartre as a close friend, preferring the company of Michel Gallimard and the eccentric Father Bruckberger. As well as working for Gallimard, and on his second novel The Plague, Camus worked clandestinely for the Resistance. On the recommendation of Pascal Pia, Camus was summoned to meet the National Resistance Committee in late 1943. His experience as editor, of Le Soir back in Algeria, is put to use as he is put in charge of Combat, the resistance newspaper. Although Camus will neither carry a gun as a member of the Resistance his role was not without danger. The punishment for writing anti-Nazi articles was deportation to a concentration camp. Camus wrote numerous articles for Combat however his most important contribution from this time are his series of Letters to a German Friend. Exactly how was great Camus’s Combat contribution to the Resistance is subject to debate. Certainly, he ran risks and could have paid with his life if caught. His involvement with the resistance was, and is, part of the Camus legend and he has been criticized, then and now, for allowing his exploits to be somewhat exaggerated. After the arrest of a Resistance member whose apartment contained sensitive documents, Camus accompanied Dionys Mascalo to retrieve these papers and photographs before the Nazis could raid the flat. Mascalo was armed and ready for trouble, Camus, unarmed, stood lookout. Camus also helped Mascalo move a clandestine printing press. On another occasion the French Communists printed a denouncement of those they considered to be lying about their involvement with the Resistance, with Camus’s name printed on the document. When Camus was informed of this, that he was been publicly named as a supporter the Resistance, he merely shrugged. It wasn’t just the Communists he had to worry about. One another occasion, after a tip-off from an informant, the police went looking for Camus. He was walking down the street with Maria Casares when he discovered that both ends of the road were blocked by the police. In his pocket he carried a layout intended for an edition of Combat. Camus and Maria were asked for the papers but the police failed to discover the layout. Camus returned home and destroyed documents he had in his apartment and went to stay with a friend. After discovering that he was not targeted randomly by the police Camus, along with Pierre and Michel got out of Paris. He traveled 60km on a bicycle to Verdelot where he stayed until things cooled down. Although he had written Caligula before Cross Purpose, it was the latter than was the first to be performed. Dress rehearsals for the play were in June 1944 with Maria Casares in the role of Martha. The play itself received mixed reviews. Casares put in a fine performance but the critics generally felt that while the subject matter was good the play itself was of limited quality. Camus, as ever, was depressed by the bad reviews. Opening night had been on the eve of Liberation and the 59th edition of Combat was published openly, with Camus’ name on the masthead. Loyal Frenchman from 18-50 were encouraged to take up arms and take to the streets. Sartre was assigned to occupy the Comedy-Francaise and Camus dropped by to see him only to discover his friend asleep. Sartre was awoken by a laughing Camus who told him ‘Your armchair is facing in the direction of history!’11 After the quarrel that ended their friendship Camus would often hint at this embarrassment for Sartre, accusing him, and his acolytes, of being ‘armchair revolutionaries’. 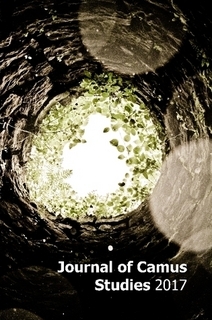 Now that Combat was published openly, Camus became a household name as a journalist. The collaborationist press was banned which limited the competition for his paper. Pia had been concerned that the Allies would start their own paper and so acted quickly in getting him and the rest of the group legally recognized as Combat’s owners. This was a time for ambitious men to rise quickly filling the vacuum left by the German retreat. With the end of the War in sight, Camus had to face a problem he’d been worrying about since he and Maria got serious, the reunion with his wife Francine. He had confided in Marcel Herrand, the director of Cross Purpose, that after the War he intended to leave Paris with Maria. However, in October Francine arrived from Algeria and Camus stayed. The two moved into a cold apartment situated behind that of one of Camus’ early idols, André Gide. Though reunited with his wife, Camus carried on seeing Maria. He told his mistress that he and Francine were more like brother and sister than husband and wife but nevertheless in 1945 Francine became pregnant with twins. This was too much for Maria and she broke off the relationship with Camus. Camus’s writing for Combat was moralistic and formulaic. He liked to use the ‘royal we’ when expressing ideas even if the opinions expressed were held by only a minority at the paper. The biggest test of his morality came with the subject of what to do with collaborators. Camus was initially in favour of swift justice and argued, via his editorials, with those who advocated forgiveness. Camus had friends who were killed by the Nazis and in January 1945 wrote ‘Until our last moment we will refuse a godly charity that cheats men of their justice.’12 The references to ‘godly charity’ were aimed at Francois Mauriac, a Catholic thinker who advocated… godly charity. Camus, however, wanted a fair punishment for his countrymen who had supported the Nazis and soon became appalled at how ‘justice’ was meted out. He opposed the death penalty and when the writer Robert Brasillach was sentenced to death Camus, after much soul-searching, signed a petition against the sentence. Brasillach was not pardoned and was shot dead in February 1945. Camus would later admit that Mauriac, his adversary at the time, had been right. An invite to visit New York from his US publisher in March 1946 gave Camus the chance to get out of Paris for a while. During the trip Camus was preoccupied with morbid thoughts. During a lecture given at Columbia University he offer four brutal anecdotes from the war. The first was about a concierge who while cleaning around the bodies of two men who had been tortured said in reply to a request for help, ‘I don’t get mixed up in the affairs of my tenants’. The third was about a mother in Greece who begged a German officer, about to shoot her three sons, for mercy. He relented and allowed her to pick one son to save. In New York Camus met Germaine Bree, Justin O’Brien and Nicola Chiaramonte, and a Patricia Blakeyoung woman named Patricia Blake. They became lovers and Patricia would become the ‘other woman’ to his other women, Maria and Francine. Despite starting a new relationship with Patricia, Camus was maudlin. His health was not good, coughing up blood, and he was obsessed with a fear of dying. He told friends he was soon to die, including Patricia to whom he predicted he only had a year or two left. Death constantly on his mind he would recite the last words of dying men to his friends. In his pocket he carried a copy of a suicide note written by one of Trotsky’s friends. American funeral customs and practices fascinated him and on his return to Paris he wrote to Patricia asking her to send him magazines such as Embalmers Monthly. 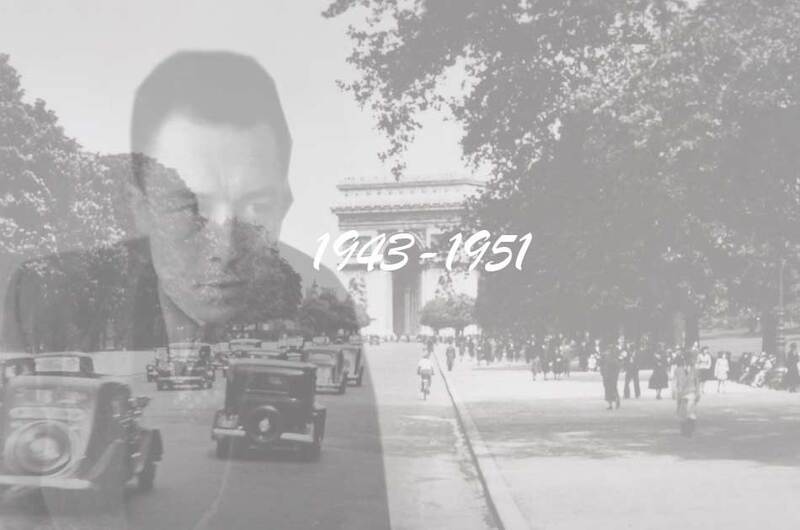 Camus’s biggest fear was dying before he had time to complete his works. Progress was slow; he had already been working on The Plague for five years. Later that year Camus became friends with Arthur Koestler. He approved of Koestler’s anti-communist stance but found his behaviour objectionable. On one occasion, during a night of heavy drinking, Camus found himself in the usual position of being attacked by the Darkness at Noon author for supporting Communism. Camus then came to Koestler’s defence after discovering him under attack from Maurice Merleau-Ponty. Later that evening, after turning up at party, also attended by Sartre, and discovering Merleau-Ponty Camus picked up the argument where they’d left off. Sartre, who was close to the man, joined in on Merleau-Ponty’s side and the row ended with Camus storming out. Camus, a man to bear a grudge, didn’t speak to Sartre for months. Later, after the publication of The Plague, an incident occurred that brought an end to Camus’s friendship with Koestler. Having made up with Sartre, the three went out for a night of hard drinking. The subject of politics came up and ended with Koestler throwing a glass at Sartre’s head. Out on the street Camus attempted to intervene and, for his trouble, received a punch in the face from Koestler. Camus had another friend to lose, next on the list was Pascal Pia. The publication in 1947 of The Plague, Camus’s biggest commercial success, coincided with the demise of Combat. Camus had been a rare sight around the paper’s offices since his return from the US and Pascal Pia had lost patience with his old friend and colleague. Even receiving a series of articles, Neither Victims nor Executioners from Camus did nothing to improve relations. He believed Camus was prepared to step in now and again to contribute this and that but was unwilling to stick around and help with the daily grind of running a paper. The friendship was over and the two men would never be reunited. On the left but against the Communists, interested in God but without faith, Camus felt intellectually alienated and alone. He involved himself in political affairs, including the Garry Davis ‘World Citizen’ affair as well as The Group For International Liaisons In The Revolutionary Union Movement but ended up disillusioned with both. When the Communists stood for election, Camus accused those who voted for them of voting for the ‘enemy’. Having distanced himself from his Parisian friends, Camus turned to Algerians for friendship and became close to the burly poet, Rene Char. In 1948 he convinced Gallimard to publish a volume of Char’s poetry. In 1948 Camus escaped Paris briefly visiting Algeria with Francine in April and then taking a trip to the UK in May. In Algeria Camus met up with friends and expressed an interest in returning there to live, his friends however, were skeptical. Camus was never going to move back to Algeria. After returning to Paris he bumped into Maria Casares by chance in the street and the two resumed their affair. He had been working on his play State of Siege which opened and bombed that October. Everyone hated it. He would fare better a year later in December with The Just Assassins. Camus’s mood was, unsurprisingly, low and he planned a trip to South America. Despite his pessimism, he began planning a new and ambitious work, The Rebel. Camus’s state of mind during his lecture tour of South America could best be described as fragile. He told Maria that he ‘sensed evil floating in the air.’15 and struggled to appear ‘normal’ in the midst of a depression he referred to as ‘a kind of Hell.’16 In Rio , after discovering that a man had made a special trip to present him with a packet of cigarettes, Camus burst into tears. During this trip Camus took notes for that would be used later for his short story The Growing Stone .